New Hope Home in Pawel only had the money to feed, house, clothe and care for 21 Sudanese refugee kids from the IDP camp. It was a fact that broke the heart of Pastor Amos because there was one more kid in the camp in desperate need of rescue. The other pastors at the IDP camp begged Amos to take Skovia. They said she was the one out of all of the children in the camp who most needed to be taken to New Hope. Skovia is without parents. She was being taken care of by a relative in the camp who forced her to be a slave and delivered a beating to her every night. The scars and bruises covering her little arms gave just a hint to the hell she was living through each day. When the other orphan children, her only friends in the camp, were taken to New Hope and she was left behind, Skovia was bereft with tears, wondering why she alone was left there to suffer. Her name is Skovia and Pastor Amos had to leave her behind. I truly cannot fathom impossible choices like these. How do you choose between feeding the refugee kids you’ve already taken responsibility for and taking on another mouth that stretches the already scant beans and posho too thin? How do you commit to raising another child into adulthood when you already don’t have anywhere near enough money to raise the other 21? But how do you knowingly leave a child in the mouth of a shark? Her name is Skovia and Pastor Amos went back and removed her from the IDP camp and from the hands of her abuser. You go ahead and stand up and cheer a minute, I’ll wait right here. I’ll be cheering, too, because I can’t stop smiling and crying and clapping when I think of Skovia and Pastor Amos and his wife Sarah and of Mr. and Mrs. Ekanya and of all of the kids at New Hope. Her name is Skovia and last Saturday evening she was brought to New Hope to live permanently. I got to meet Skovia last Sunday morning, when Laura and I attended church in Pawel. We saw the refugee kids sporting their new shoes and showing off their suitcases, already stacked neatly on their beds and packed with their special things inside. We got to hear the stories of how they gleefully threw away the plastic bags the second the suitcases were handed out. We got to see photos of the ceremony held to pass out the shoes and suitcases. Her name is Skovia and she was the only kid without a suitcase. The other little girls, many of whom were Skovia’s friends in the IDP camp, were downright emphatic when telling Laura that Skovia didn’t have a suitcase. Laura assured them that we wouldn’t leave her out, but that we just didn’t know she’d started living there. We immediately gave Mr. Ekanya enough shillings for shoes and a suitcase for Skovia. New Hope has beds for up to 24 students so we also gave him enough shillings for two more refugee children because if we can provide more expensive items like shoes and suitcases, we know that will make the beans and posho stretch just a little bit further. New Hope insisted on feeding us because hospitality is truly the heartbeat of Uganda. While we were eating beans, posho, and cabbage, Mr. Ekanya gave me one of the greatest compliments of my life. Indeed that is how I will introduce myself when I return. What I love most about being proclaimed a daughter of Pawel is that because of the work of New Hope, I’m in the good company of 22 Sudanese refugee children who have also been claimed by the community of Pawel. They, too, can say they‘re the sons and daughters of Pawel. On Thursday afternoon I had the pleasure of joining Mr. Ekanya and one of my former students, Oceing Richard, on a trip to the main market to buy suitcases and shoes for the students and refugees of New Hope school in Pawel, Uganda. Mr. Ekanya and Oceing Richard are both from Pawel and their families were once refugees in the IDP camps during the insurgency of Joseph Kony, so caring for the Sudanese refugee children in Pawel is less of project and more of a calling on their hears that they let us be a part of. The original plan was to purchase lockers for the refugee children, but further thought revealed that suitcases for their clothing would be better. They’re softer and made of fabric, instead of hard metal that children can easily be hurt on. They have wheels and can be easily moved when cleaning. The suitcases have programmable locks which will help keep their items safe without the extra task of keeping track of a lock and key. At the market, the suitcases were easy to find and even easier to purchase. They came in different colors and designs, but were all uniform in size and perfect for stowing under the bunk beds of New Hope. No more refugee children living out of plastic grocery bags. Now they’d each have a place of their own to store their clothes and the few precious possessions they have. Shopping for shoes in Uganda is, um, a bit different than shoe shopping in the U.S. Shoes are purchased from big racks or piles from stalls in the main market and second hand shoes are preferred because they’re made from rubber and leather, unlike the newer shoes mostly made of synthetics. Common practice is that second hand shoes are polished with black shoe polish and re-sold. Oceing Richard had already traced the feet of all of the children and he brought those tracings with him to the market. I remember tracing the ticklish feet of some very excited Ugandan children when I bought shoes for a whole first grade class a few years ago. Tracing the feet of the 61 children of New Hope was no small task! Mr. Ekanya and Oceing, with the help of three eager shoe saleswomen and one shoe salesman, set about the painstaking business of matching each shoe to each traced foot of each child. It was no easy task and after several hours on Thursday afternoon and several more hours on Friday morning, they found 61 pairs of shoes for 61 pairs of little feet. For some of the children of New Hope, these shoes will be their first pair of shoes. New Hope School doubles as a church and on our last Sunday in Uganda Laura and I will attend church at New Hope School in Pawel. I’m eager to see the children in their new shoes and to see their things stored in suitcases in their homes. 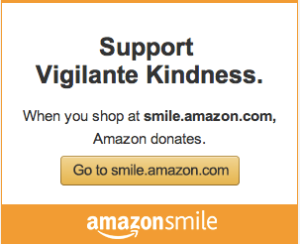 Vigilantes, I can’t thank you enough for providing for these children with such generosity and care. You’ve shod the feet of the future of Uganda and I can’t wait to see where these kids go.